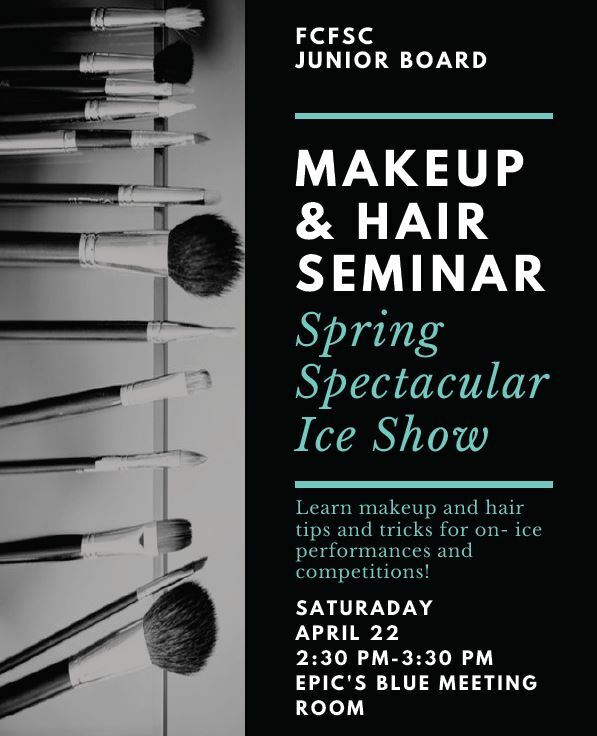 Need HAIR & MAKEUP pointers for the upcoming Spring Spectacular Ice Show? Join the Jr Board this Saturday, April 22 in the blue rink meeting room from 2:30 – 3:30pm to learn tips & tricks for on-ice performances under the bright spotlights! Watch demos, find out what to do & not to do, and ask questions. The seminar sign-up sheet is located on the blue rink bulletin board. See you there!